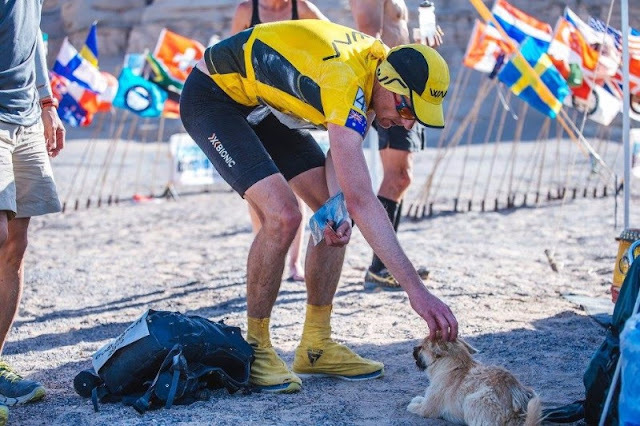 She is so tiny that her head didn’t even reach his knee – but the stray dog still kept the pace for Dion Leonard in the desert heat. The ultramarathoner came to rely on the little dog as he ran through the Gobi in China in the last section of the 155-mile Gobi Desert March race. She appeared out of nowhere, miles from any village, and ran just in front of him – helping him to second place. Temperatures could reach up to 52C, but that didn’t put the dog off and she showed ‘unique strength and stamina for a little dog’, Dion said. Although she had to rest for some of the race in the gruelling conditions, she ran four stages including the vital final 10km to the finish line. 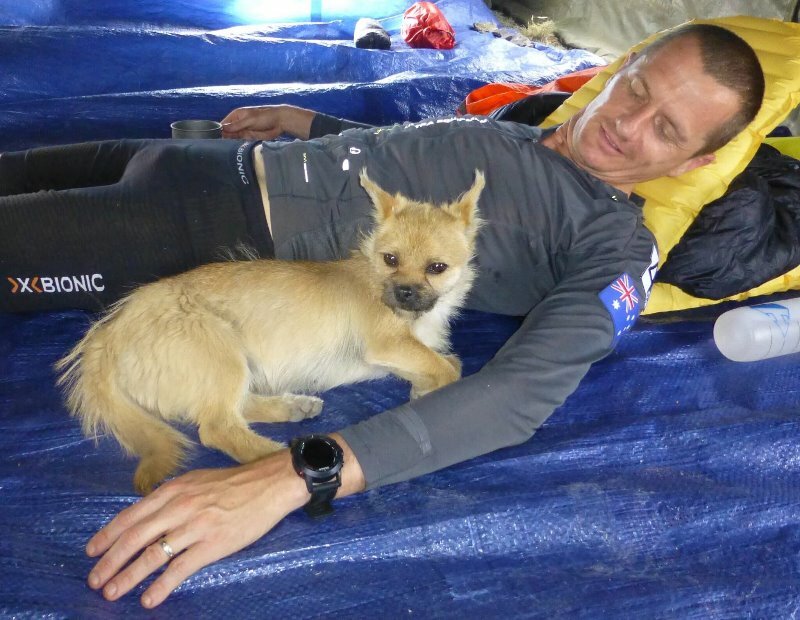 Dion carried her across river crossings, let her sleep in his tent and gave her food and water from his own supplies, even though he didn’t have a lot in his pack. 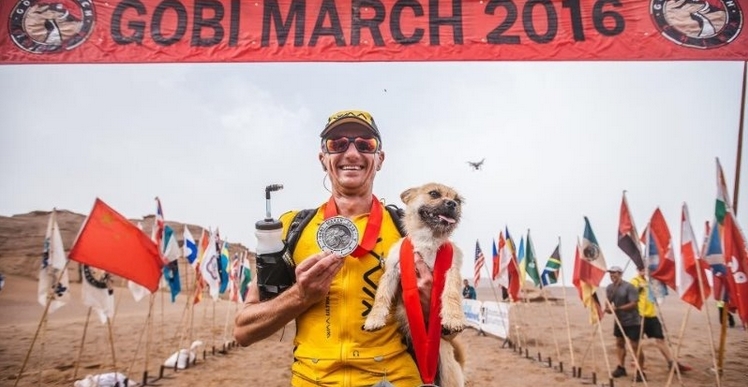 ‘Gobi took a shine to me and over the week we developed an unbreakable bond as I shared my sleeping space, food/water and ultimately our companionship,’ Dion said. 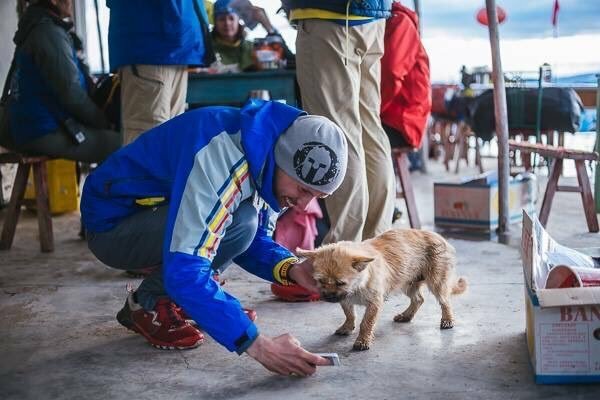 But after he finished the race, he had to leave her behind because of strict laws about taking animals between countries. 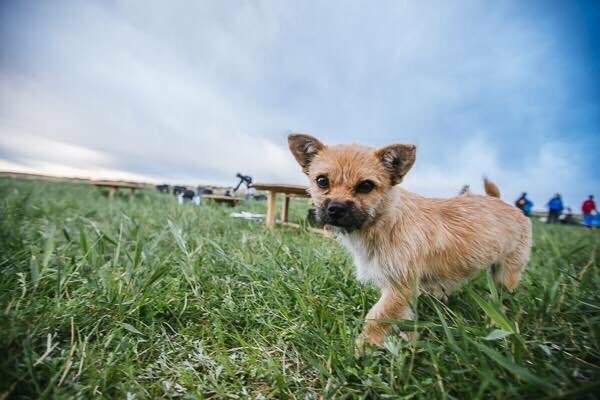 Since getting back to the UK, Dion has launched a campaign to bring Gobi back to him in Edinburgh, and he has already raised £6,285 – more than enough to pay for the paperwork and quarantine. 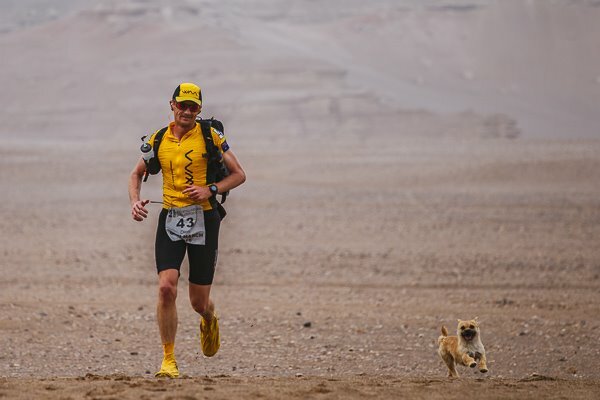 Responses to "Marathon runner adopts stray dog who set pace for him in the Gobi desert"